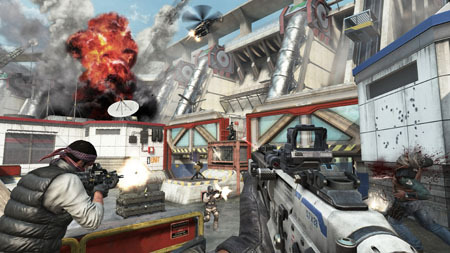 Call of Duty: Black Ops 2's first map pack was released today through Xbox Live. 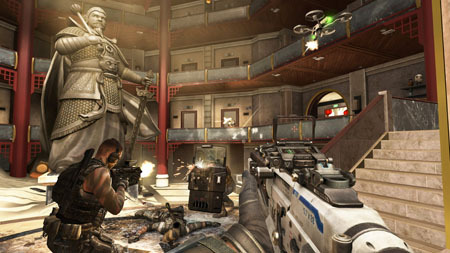 The Revolution Map Pack introduces five new multiplayer maps as well as other extras. 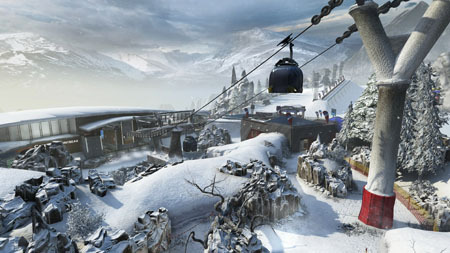 Four of the maps (Hydro, Downhill, Grind, Mirage) are for the game's competitive multiplayer mode. They'll take players to far-flung locations such as a Gobi Desert resort and California skatepark. You can read descriptions of each map here. 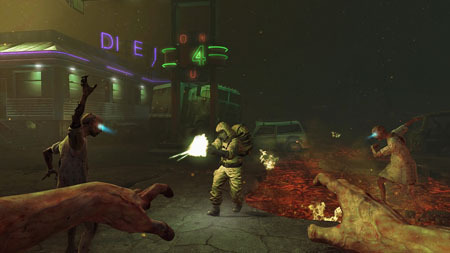 The fifth map is called Die Rise and is for the game's zombie co-op. The map takes place in the ruined skyscrapers of a Chinese city. Zombie enthusiasts will also be pleased to find a new "Turned" mode, in which players can take on the role of undead. The Revolution Map Pack is the first COD downloadable content to include a new weapon. Players will be able to wield the Peacekeeper SMG, said to be a hybrid of a submachine gun and assault rifle. This new weapon will come with XP-based challenges to pursue. Revolution is priced at 1200 Microsoft Points, or $15. Players can also opt for the $50 Season Pass to get access to Revolution and three future map packs. Treyarch will eventually release this content on the PS3 and PC. 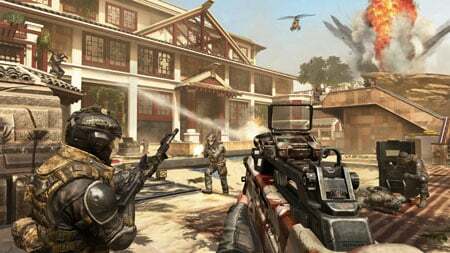 Call of Duty DLC generally hits those platforms about a month or later than the 360. No exact release date has been set, though.